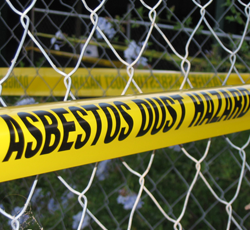 Both asbestos and lead are hazardous materials that can cause serious illness if inhaled or ingested. 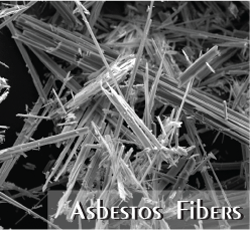 Although the use of asbestos has decreased substantially, buildings can still contain it and workers can still be exposed, primarily through microscopic particles in the air. People can be exposed to lead in a variety of manufacturing, building and service settings, and lead poisoning can affect not only those immediately exposed to it but, their offspring as well. Among our other services, JAC Xpress has certified staff members that can monitor and test for lead and asbestos and interpret laboratory results. We also have many years of experience in managing abatement operations when reduction of asbestos or lead is required for building renovation, demolition or indoor air quality purposes. A thorough visual inspection and an understanding of building and ventilation components are necessary to complete an assessment. Excessive mold growth within a building is undesirable and should be removed using appropriate response actions. 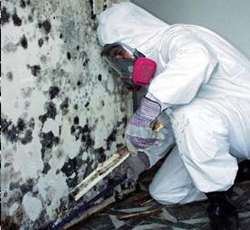 The use of biocides is not a preferred substitute for the physical removal of mold. Testing has limitations and should be used as a tool as part of an investigation, not as a primary method of evaluation. JAC Xpress offers a wide variety of testing solutions for any situation, both residential and commercial. The information these tests provide allows you to make informed decisions. So which test is right for you? It depends on what you want and need to know. Here is a list of the different kinds of samples that JAC Xpress offers. However, the question remains…which test is right for your situation? Here's a brief overview of the differences to help you start down the path of choosing a test. Some already know they have a mold issue but are curious about what kind of mold is present or if it's dangerous. If this best describes your situation then a simple swab test will provide you with the limited information you seek. A swab test will tell you what kind of mold(s) you're dealing with. Then a plan of action can be formed accordingly. Some aren't sure there is a mold problem, maybe its allergies, or some kind of bug you just can't get over. If you're in this group, you're most likely frustrated because you know something is going on, but can't put your finger on it. It is the most common sample taken by the way, and usually referred to as an 'air-o-cell test'. (common name brand of collection cassette) It provides a snap shot of the air you're breathing. The results are available quickly! You'll be able to tell not only what kind of mold(s) are in the air but you'll be informed about how much is in the air! That is always the most important factor, JAC Xpress can explain why. The next category is the category nobody likes to admit they fit in to. If the first example (swab test guy) could be described as mildly curious and the second (Non Viable guy) as someone searching for answers then. This is a category that is reserved for the real seekers in life. You not only want to know what kind of mold(s) are present but you also dig knowing what kingdom, phylum, class, order, family, genus, & species your mold hails from. You were a straight A student and you will not be intimidated by this mold. You even call it fungi, the proper name instead of mold or mildew! It's not that you're trying to be a know-it-all…you just really are smarter than most of your friends and you've found that more knowledge is the solution to all problems. So for those of you in this category, JAC Xpress provides a viable air sample using the A6 impactor. This sampling method draws air through the impactor and directs the air into 400 precision-drilled holes that force the air evenly onto an agar plate. Making the rubbery surface look like the dimples on a golf ball. 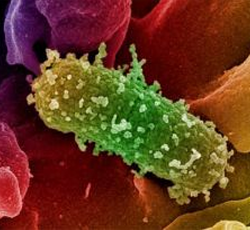 This causes colony forming units (CFU's) to start to grow! Now wait 7 to 10 days and this agar plate will be full of disgusting, growing, living molds that will provide not only quantitative but qualitative results. This is a good sample to request if you require the maximum amount of information available. Knowing detailed mold information can be useful in some situations. Usually this kind of information is standard operating procedure for health issues and court cases. It does have its limitations so make sure that JAC Xpress gets a chance to explain them. Copyright ©2013 JAC Xpress Consultants, LLC All rights reserved.